This brand new luxury townhouse in central Rosebud is truly a treasure! Located in one of Rosebud's finest streets, Pirate's Treasure is less than a 5 minute walk to the beach, supermarkets, cafes or main shopping plaza. *Spacious open plan living with a huge lounge area, big flatscreen TV, DVD/Blu Ray player, queen size fold out couch. Table tennis table in the double garage. Plenty of lock up parking space for car/ jet ski and driveway allows space for off street parking for a boat. ALL TARIFFS ARE BYO LINEN. Guests BYO top and bottom sheets, pillowcases and towels. The property has a NO SMOKING policy inside and out. No parties are permitted. No Schoolies, sorry. 2. The person responsible for the booking must provide information on number, names and ages of guests staying at the property. Providing misleading information will result in forfeiture of confirmation deposit and monies paid. Additional charges for extra guests may apply. Tenancy is terminated if disclosure of extra people and fee payable is not made. There is no refund of security deposit and all rental monies in such cases. 5. The leader of any group making a booking must be over 18 years old and prepared to take responsibility for all guests named on his/her booking form. The leader must provide a copy of his/her driver's licence and ensure that all group members agree to be bound by these terms and conditions. 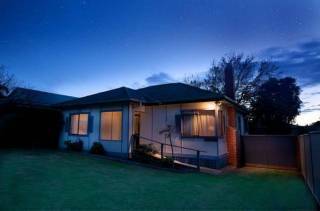 The group leader is completely and solely responsible for the property, contents and surrounds. 6. Unless stated, booking is BYO linen. Please bring top & bottom sheets, pillowcases, towels & tea towels. Linen MUST be used on all beds. Failure to do so will result in additional cleaning costs.(min.$40). 7. Check out requires property to be left as found at check in eg. Yard neat and tidy, garbage removed and placed in bags before placing in wheelie bin provided. Any rubbish that does not fit in the wheelie bin/s must be taken away. Rubbish removal is charged at $40 per bag. Please note, on the Mornington Peninsula the large wheelie bin is recycling only, the small is for other rubbish. Extra cleaning costs will be deducted from the security deposit if rubbish needs to be re-sorted into correct bins. Crockery and glasses must be clean and put away and dishwashers emptied. BBQs must also be left clean (cleaning fee $50), as well as disposal of cigarette butts to avoid cleaning deductions. (min. $40). Uncleaned shower/ bath/ spa bath incur min. $40 charge. Internally, any games, blankets etc. taken from cupboards must be packed back in their correct place. Compliance with these conditions will avoid deductions being made from security deposit (minimum $40). 12. Property insurance does not cover guests personal possessions, lost or stolen personal property or vehicles and is the responsibility of the guest. Mornington Peninsula Seastays is not liable for such losses. Mornington Peninsula Seastays is not liable or required to pay compensation as a result of force majeure (unforeseen events e.g. war, riots, terrorist activities, natural disasters, fire and similar events outside our control). 13. If premises are left unattended, doors, windows, garages should be left securely fastened. If necessary, management has the right to enter the property without notice and secure these items. Any theft that occurs due to windows left open or doors left unlocked becomes the responsibility of the guest. If the doors have deadlocks, these must be engaged when the guest leaves the premises. Properties that have security systems available to guests must have alarm turned on when guest leaves the premises. 16. If the house is not vacated by the time shown on the Accommodation Booking Form, the landlord has the right to claim an extra days rent to be deducted from the bond. 18. Re. bookings: Your confirmation deposit confirms your booking. This deposit is not refundable or transferable. Payment by credit card is suggested, if you wish to secure the property booking immediately. The booking may be cancelled if payments are not received by Mornington Peninsula Seastays by the due date. All bookings are subject to owners approval. 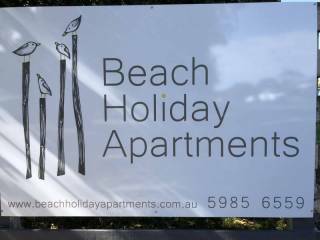 Owners and Mornington Peninsula Seastays reserve the right to refuse or revoke an accommodation booking if considered unsuitable for selected property. 19. Please refer to cancellation policy for full terms. Vacating property before end of booking is treated as cancellation and no refund is given. 20. Security Deposit is held as security against any additional cleaning, damage or removal of contents. All damages, breakages or losses to property, furnishings, contents and surrounds are the responsibility of the tenant. They must be reported to Mornington Peninsula Seastays immediately and require replacement or payment. Any deliberate attempt to conceal property damage eg attempting to repair plaster/paint damage without reporting to MPS will result in total security deposit forfeiture. Any previous damage to property or contents should be reported immediately at the time of check in. There must be available cleared funds to cover the security deposit 10 days prior to check in. Insufficient funds may result in your check-in being delayed to the following day or later, as we require time to process the authorisation and organise key code setting at the property. Loss of keys attracts replacement charges for locks, new keys and call out costs. Larger security deposits may apply for large groups or schoolies bookings. Security deposit is refundable 7 days after check out subject to clearance by owner concerned. Any deductions from the security deposit due to additional cleaning, damage, removal of contents or breach of these terms and conditions shall incur a $50 administration fee payable to Mornington Peninsula Seastays as well as a 2% card processing fee. 21. Mornington Peninsula Seastays reserves the right to ask guests to leave if conditions are disregarded or behaviour is unruly. If stay is terminated due to bad behaviour no refund is made and guests will be required to pay for damages or breakages. These conditions are an agreement between the parties. The owner has the right to refuse a key, amend the booking, or immediately terminate the tenancy with no refund should any infringement of these terms and conditions take place. These terms and conditions are subject to change at any time and without prior notification. Current as at 1st July, 2016.